This program features the telling of The Adventure of the Speckled Band. StoriesGalorious’ performance enlivens the tale of a damsel in distress, cunning villain, stalwart companion, and hero of reason and action. 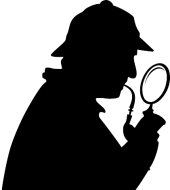 Audience members unfamiliar with the plot will be engrossed by the story, while admirers of Sherlock stories will be enthralled by the telling of one Holmes’ most rousing adventures. Rachel and Rebecca provide an introduction to the story, and they entertain questions and comments afterwards.